Detectives arrested Brian Dudley after he was accused of hitting a crossing guard in Elmont. 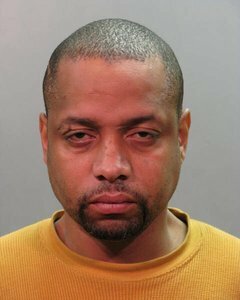 Nassau County detectives say Brian Dudley, 41, of Francis Lewis Boulevard, struck the crossing guard while he was standing on Elmont Road at the intersection of Cerenzia Boulevard. The 61-year-old victim, whose name is being withheld by the family, was transported to a nearby hospital following the hit. Sadly he was unable to recover and pronounced dead at 4:31 p.m. due to the injuries he suffered earlier that day. Nassau County police have accused Dudley of driving his Highlander in an intoxicated condition. His Blood Alcohol Level was found to be over .08%. He was arrested without incident, while his vehicle was impounded for brake and safety checks. Dudley has been charged with Vehicular Manslaughter in the Second Degree, Driving While Intoxicated, and two counts of Aggravated Unlicensed Operation in the Third Degree. He was arraigned in the First District Court in Hempstead on Sunday. Another incident involving alcohol and a crossing guard took place at the end of last October. This time it was the crossing guard who was allegedly under the influence. On that morning Suffolk County police responded to a call saying there was a possible drunk driver in the parking lot of a Patchogue Waldbaums. When officers arrived they found Joanne Griffiths in her car allegedly under the influence of alcohol. Griffiths had just completed her assignment of crossing guard for the morning when she made her way to the shopping center where she was eventually arrested for the intoxication accusations. Subject: LongIsland.com - Your Name sent you Article details of "Crossing Guard Hit by Driver Allegedly Under the Influence of Alcohol"